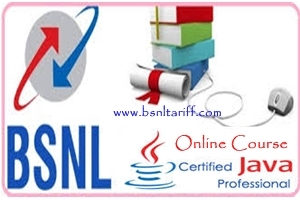 Telecom backbone Bharat Sanchar Nigam Limited (BSNL) started Certified ‘Java Professional’ Course program at Regional Telecom Training Center (RTTC), Gachibowli, Hyderabad-32 for a period of 4 weeks to fill up the demand growing in Information Technology (IT). BSNL offers Industrial oriented training program an ISO 9001:2008 standard across Southern Region with less registration and Course fee for those candidates who are interested to join. BSNL provides all the amenities under training program with best supervision of Subject matter Experts and well enabled well equipped practical lab. The candidates from other states who are interested to join in this course, BSNL provides Hostel facility under Triple sharing with nominal charges per day under boarding and lodging.